Who is it? : Founder of Jimmy John Gourment Sandwich Chain. 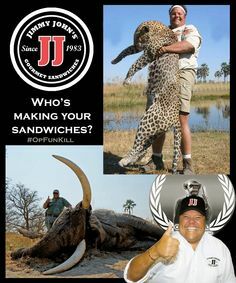 Jimmy John Liautaud was bornon January 12, 1964 in Arlington Heights, Illinois, United States, United States, is Founder of Jimmy John Gourment Sandwich Chain.. Jimmy John Liautaud is the founder and chairman of the popular ‘Jimmy John’s Gourmet Sandwich’ chain. An entrepreneur in the truest sense of the word, when boys of his age were busy deciding what future course to study, Liautaud was giving wings to his ambitions. His long-aspired desire to become an entrepreneur first gained grounds when he asked for financial help from his father to set up his own food venture. After much research, Liautaud decided to set up a sandwich shop. Though his sandwiches tasted brilliant, his location did not bring his business the success that he deserved. Instead of being disheartened by its average results, he worked hard to build up on the brand name and brand value of his sandwich shop. Soon, Liautaud’s modest one-store sandwich expanded to the next level as he began franchising it. Today, with more than 2500 outlets, his brand, ‘Jimmy John’s has definitely not just helped Liautaud realize his dream but has made him one of the top entrepreneurs of the world globally. As per an audit report by YouGov BrandIndex, Jimmy John’s scored a whopping 83% in restaurant chains that have the highest millennial brand loyalty. 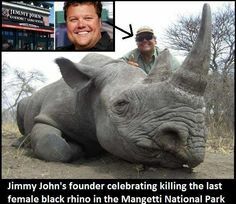 Most people who have once been to ‘Jimmy John’ consider going there again. 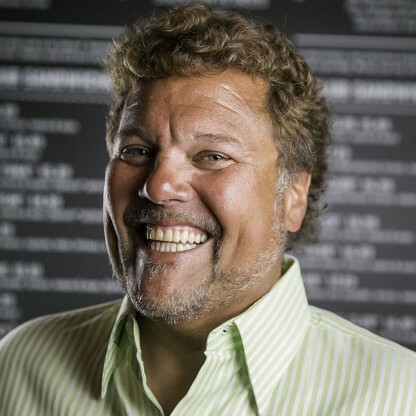 Jimmy John Liautaud was born in Arlington Heights, Illinois on January 12, 1964. His Father is James Liautaud, longtime Entrepreneur, and his mother is Gina Gudaityte Liautaud. He has two brothers, Greg and Robby Liautaud, and a sister, Lara Liautaud Berry. He was born the third of four siblings. He attended Elgin Academy, a private prep school in Elgin, Illinois. During high school he became close with and was influenced by the dean of the academy, James Lyons. After Liautaud graduated from high school in 1982, his Father offered him a loan of $25,000 to open a Business on the condition that if the Business failed, he would enlist in the US Army. Although his Father wanted him to enlist, he agreed to loan him the money in exchange for a 48% stake in the Business. Initially he wanted to open a hot dog stand, but after visiting numerous such stands throughout the summer of 1982, he realized that $25,000 would not be enough for such a venture. After a chance encounter at a sandwich shop, Jimmy John realized that he could open a sandwich shop within his available budget by purchasing premium meats at a neighborhood market and baking his own bread. With the help of his family as tasters, he decided to put four types of sandwiches on his original menu. On January 13, 1983 Jimmy John’s Gourmet Sandwiches opened in Charleston, Illinois. Due to the poor location of his first store, Liautaud decided to include delivery of his sandwiches to boost sales. He began by bringing samples door-to-door to the nearby Eastern Illinois University dorms. By the end of his first year, the restaurant started making a profit. At the end of his second year, Liautaud was able to purchase his father’s share in the Business and he became Jimmy John’s owner in full. The Business continued to grow, and he was able to open his second and third shops in 1986 and 1987, respectively. In 1988, Liautaud met businessman Jamie Coulter. At the time, Coulter was a Pizza Hut Franchisee, and later became the Chairman, Founder, and CEO of Lone Star Steakhouse and Saloon and other chains. Coulter helped Liautaud take his Business to the next level. In 1994 he sold his first Jimmy John’s franchise. When franchising began, Liautaud had 10 Jimmy John&apos;s stores. By 2002, the company had about 200 stores, 10% of which were corporate stores that the Jimmy John’s owner oversaw himself. Sales at the stores managed by Liautaud were outpacing the franchised stores by a wide margin. Together with his partner, and now Jimmy John’s President & CEO, James North, he visited 70 of the poorest-performing stores. After 18 months of getting the stores “back to basics” and instilling in them “some of that initial spark”, he was able to help the stores become more profitable. In 2003, he was named to Chicago’s “40 Under 40” by Crain’s Chicago Business. In 2004, he was named the Ernst & Young Food & Beverage Entrepreneur of the Year in Illinois. The winners were selected by an independent panel of judges composed of local community and Business Leaders. In the same year, he was given the Lifetime Achievement Award at the National CEO Conference and inducted into the Collegiate Entrepreneurs’ Organization Hall of Fame. In 2007, Liautaud delivered the commencement speech at his alma mater, now known as the Liautaud-Lyons Upper School, a program of Elgin Academy. In 2008, Liautaud donated $1 million to his high school, Elgin Academy, on one condition: that the building constructed using his donation bear not only his name, but also the name of the man who had been the dean of the school when Liautaud attended: James Lyons. In 2011, Liautaud and his wife pledged $1 million toward the construction of the new Champaign County YMCA. In 2012, Liautaud was awarded the Nation’s Restaurant News Golden Chain award for outstanding accomplishments that have benefited consumers in the food industry. In July 2014, Liautaud donated $1 million to the Folds of Honor Foundation, an organization that supports the families of fallen Soldiers. Liautaud is an avid hunter and Fisherman. 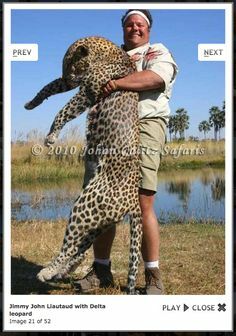 In an interview in 2015 with the Chicago Tribune, Liautaud said that the largest misconception about him is that people still connect him to 10-year-old photos of him posing with big game. According to Liautaud, he used to hunt big game in Africa on legally organized safaris, but he no longer does. During the interview with the Tribune, the subject made "[Liautaud&apos;s] eyes well up with tears." In 2015, his hunting prompted people to call for a boycott of his Business. In December 2016, Liautaud and his wife Leslie established the Liautaud Family Foundation in order to make donations to a variety of charitable causes. The Foundation&apos;s first donation was $200,000 to fund a building expansion for Crisis Nursery, an emergency childcare facility for families in crisis. In January 2018, Crisis Nursery announced that the Liautauds had made an additional matching grant offer of up to $100,000 to help cover an approximate $300,000 deficit from an unpaid state grant. In March 2017, he was named Franchise Times&apos; "Dealmaker of the Year" for the deal that brought Roark Capital Group in as the company&apos;s new majority owner. Beth Ewen, FT&apos;s editor-in-chief called the deal "one of the best private equity deals of all time in the restaurant Business." In December of that year, Liautaud was chosen to receive the Horatio Alger Award for 2018. The Horatio Alger Association of Distinguished Americans recognizes people who have overcome personal challenges to achieve personal and professional success. In January 2018, Liautaud donated over $45,000 to shore up health, wellness, and fine arts initiatives at several Champaign Unit 4 schools. Liautaud is a member of the University of Illinois at Chicago’s Chicago Area Entrepreneurship Hall of Fame.